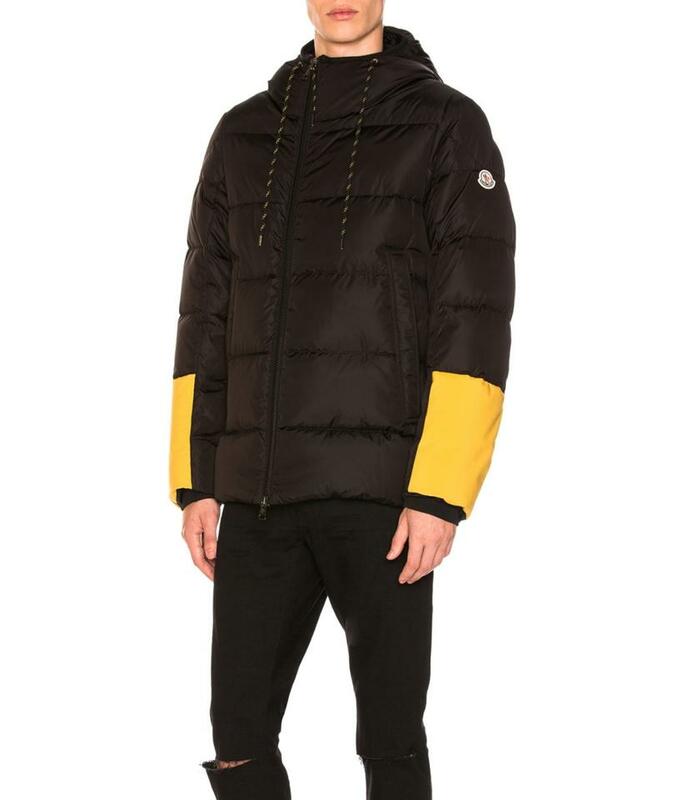 Moncler merges technical innovation with a sporty aesthetic of contemporary style within the collection of essential pieces - with a refined finish. 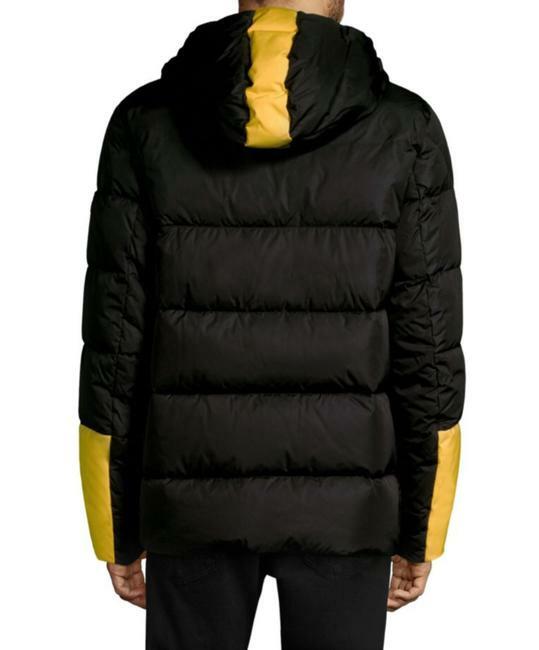 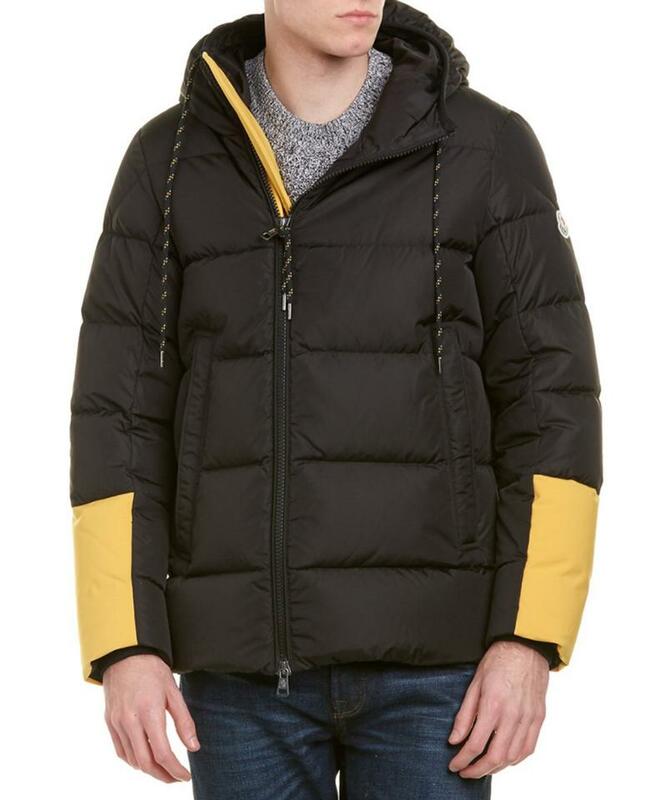 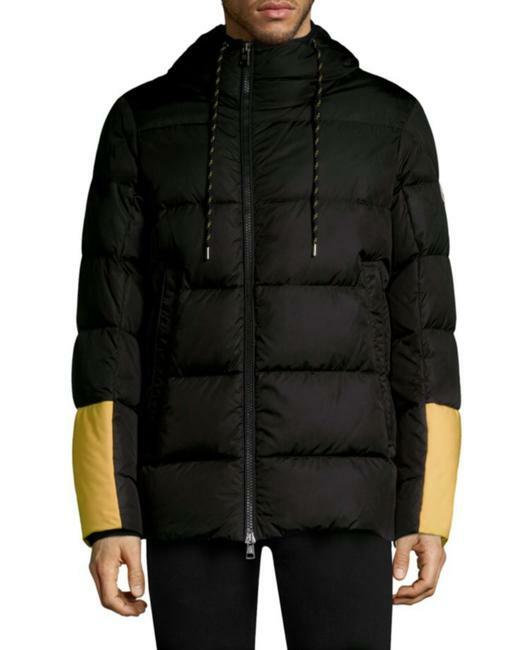 This black and yellow feather down colour-block padded coat is a fun staple piece for those colder days and features a round neck, long sleeves, a front zip fastening, a panelled colour block design and side pockets. 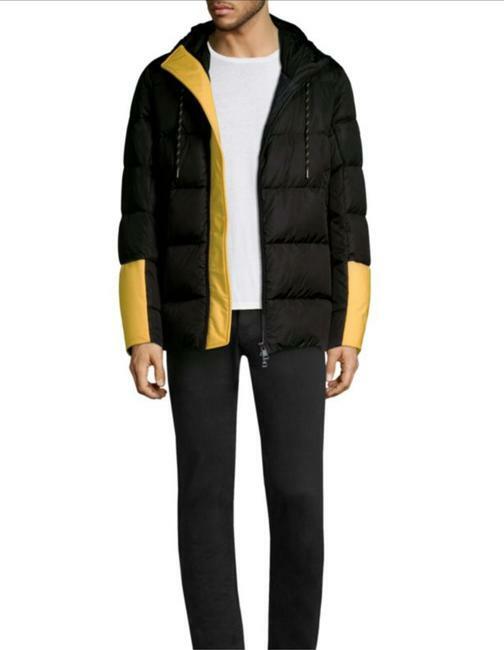 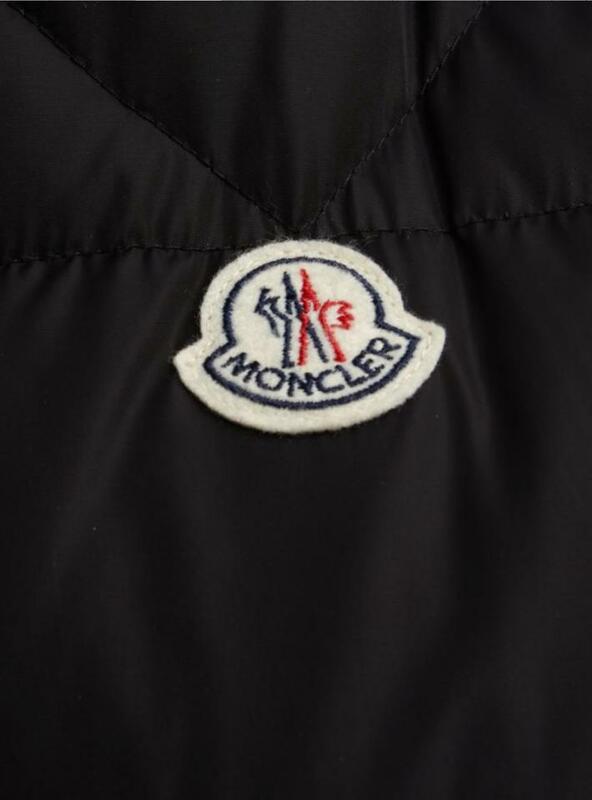 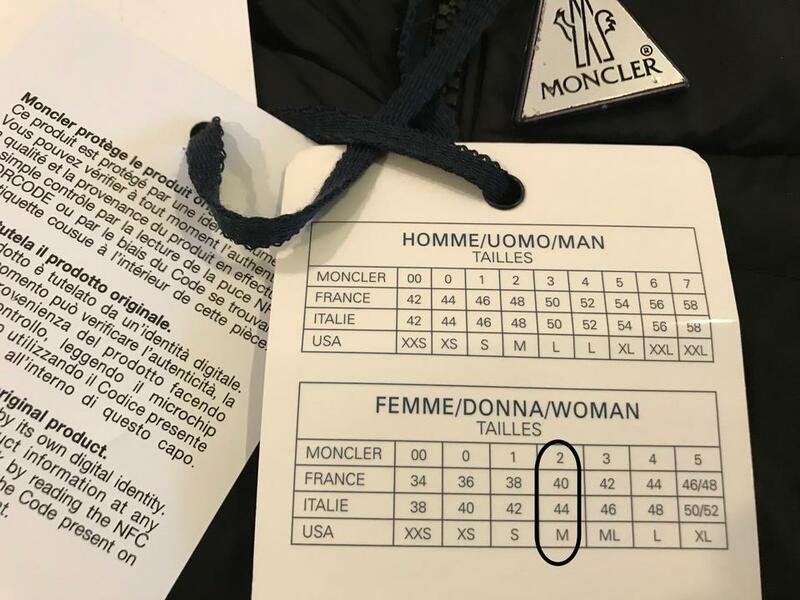 - Moncler "Drake" jacket in colorblock technical fabric. 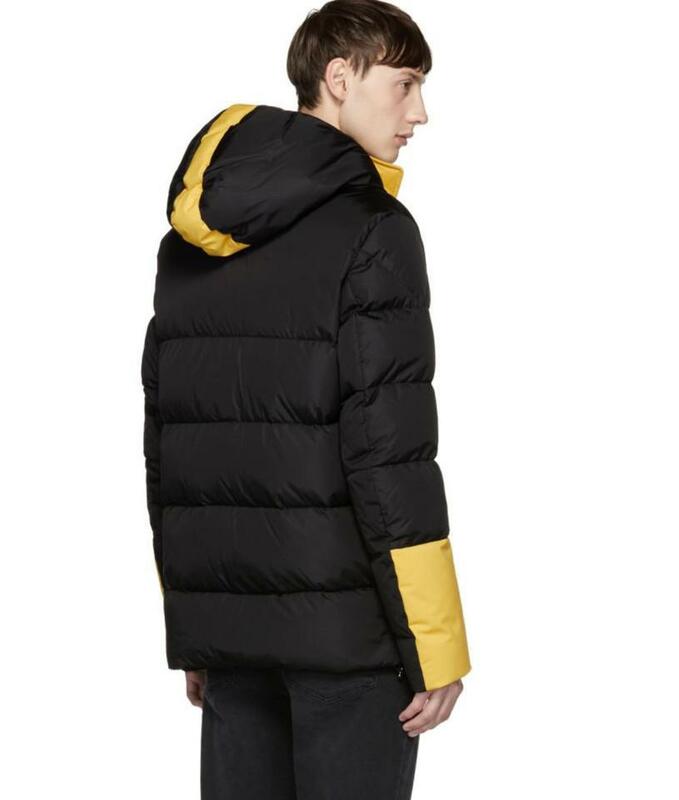 - 90/10 down/feather fill for insulation. 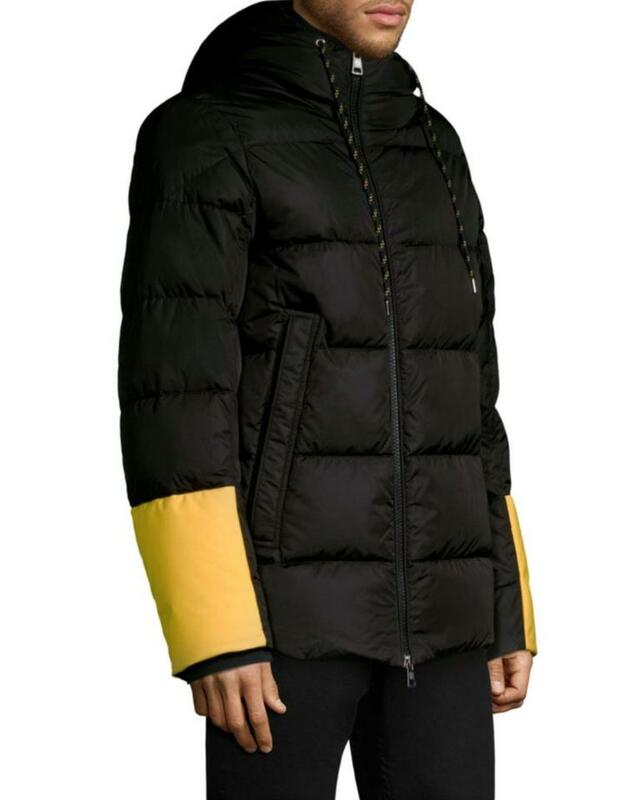 - Drawstring hood; two-way zip front.